Ready for part 3 in our cloud image management 101 series? Last week, we defined medical image viewers, discussed the rise of cloud-based viewers, and shared why it’s critical to view medical images from anywhere in emergency situations. Today’s focus is on cloud-based picture archiving and communication systems (PACS). They come in many names, such as Cloud PACS and Web PACS, but the underlining idea is the same across all types. What is a Cloud-based PACS? Before we get into the cloud part, let’s take PACS. A traditional PACS system uses hardware and software on site to lock imaging data inside of the system. Images like MRI, CT scan, X-ray, ultrasound, and more, can be stored, viewed, and shared. Although the onsite location is convenient, the full responsibility of maintaining and operating the PACS belongs to the facility where it is located. The facility also remains responsible for implementing HIPAA compliant security and disaster recovery features. In fact, many states require that images be kept in storage for a specific length of time, requiring facilities to purchase additional data center space. So, Where Does the Cloud Come Into Cloud PACS? A Cloud PACS shares many similarities with a traditional PACS. The main difference is that rather than the hardware being located and managed at the facility, everything is hosted off-site in a centrally managed data center. To access studies with a Cloud PACS, users log in to a secure web-based dashboard. A Cloud PACS is a solution that falls under the umbrella term of cloud image management. Although many people use Cloud PACS and cloud image management interchangeably, cloud image management is a broader term that can encompass a variety of other web-based point solutions for handling imaging. Another key differentiator is the deployment model. Cloud PACS are often provided as a Software-as-a-Service (SaaS), more commonly known as SaaS. SaaS is a delivery model where the application, in this case, PACS, is centrally managed in a data center and is provided to users on a monthly subscription basis. Why is it Beneficial to Host a PACS in the Cloud? The Cost/Payment Structure Inherent in SaaS. With a Cloud PACS you don’t need to purchase expensive hardware and infrastructure to get up and running. Unlike a traditional PACS where you pay up front, with a Cloud PACS you pay a flat monthly service fee. Additionally, since the facility isn’t hosting onsite, that means the costs associated with implementation, maintenance, upgrades, user and IT support, and data storage can be significantly reduced if not eliminated entirely. The flexibility of cloud architecture makes it easy to bridge the gaps between the technologies that are already in use at your organization. A few widely adopted examples include connecting DICOM devices using a gateway. A gateway allows you to seamlessly move studies between both modalities and viewers within the walls of your facility and beyond. Another example of an integration is tying your Cloud PACS in with your RIS (radiology information system) to pull reports. Or what about image-enabling your EMR (electronic medical records)? By generating contextual imaging links and embedding them into the patient record, doctors can view studies directly from the EMR. Keep your eyes out for a blog post on that soon! Although very difficult to measure in quantitative terms, a technology that can achieve a better work/life balance is essential. One of the benefits of implementing a Cloud PACS is mobility and eliminating the need for users to be tethered to a workstation to access imaging and associated data. Cloud platforms help to ensure that imaging data is at the users’ fingertips. This means that if something comes up during non-clinical hours, the information is just a few clicks away. To read about these features, check out Part 1: Medical Image Exchange & Part 2: Medical Image viewers of this series respectively. With multiple locations in Southern California, DISC Sports & Spine Center (DISC) is one of America’s foremost providers of minimally invasive spine procedures and advanced arthroscopic techniques, providing world-leading expertise to Red Bull athletes, the Los Angeles Kings, LA Tri Club, and Oracle Team USA. 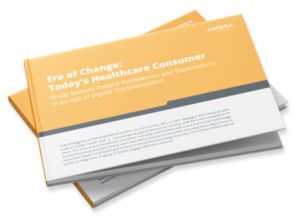 With patients across the globe, DISC looked to Ambra to elevate their patient experience by acting as their Cloud PACS and providing digital upload and transfer, while providing anytime-anywhere physician access, and running an overall more efficient practice. Much like the holidays, RSNA is an event we anticipate with great excitement and then is over in a whirlwind.